A light-weight, all-compatible successor to my "No Food Health bonus" mod. Removes HP gain from ALL FOODS AND DRINKS in the game. This mod only edits ONE FILE, and should be compatible with ALL DLC and ALL MODS, without being dependent on anything other than the main game (Fallout4, so no DLC are required). including sorting mods and mods that add foods and drinks! this mod will remove any added consumables' HP bonus. I added a requirement for that Magic Effect for it to only trigger when the player is at 0 health. This way, the HP effect is essentially never available, since when the character is dead nothing can be consumed. 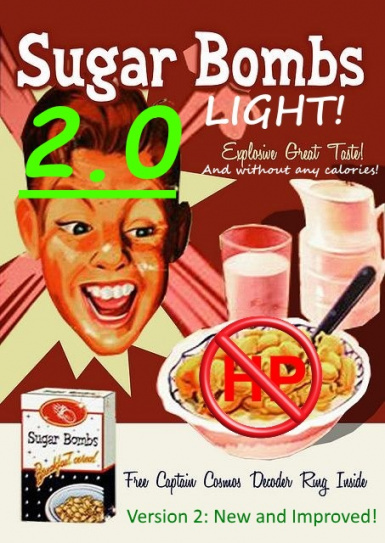 This mod is a successor to the "No Food Health" (http://www.nexusmods.com/fallout4/mods/12634/?) mod I made a while back, which was my first mod ever. With gained modding knowledge, I was able to make a much better version of it, which is this mod.